Twice a year, we take a 2-day time-out from our private work with clients and hold an open-enrollment Sales Leadership Intensive in our training center outside of Boston. We grab everything that works, across hundreds of companies and dozens of industries and pack it all into the best two days you'll spend on your own improvement all year. Attendance is capped at an optimal size of 30 people. Because of demand, we are holding an additional session this year and the next one is March 19-20. If you are interested, you can find out more about that here. And whether you are ready to take big action toward your success right now or not, here we are in January at the beginning of a new year, and this could be a good time to think about what will be the very next improvement you are willing to make to support your team so they dramatically outperform themselves vs. the alternative outcome. Leading sales expert Dave Kurlan points out that in sales management, you have two choices. You can develop your leadership skills to catapult your professional success and that of your teams or you can continue to perform at status quo. Today, a company needs every possible efficiency, effort and effectiveness from its sales management and salespeople to get ahead and emerge at the forefront of industry. Those companies that innovate are growing. And then there's everybody else. What does it take to get there? How would you have to "show up" as a leader to make consistent improvements that lead to sales management mastery? What changes would you need to make? What beliefs about yourself and your team would you have to embrace? 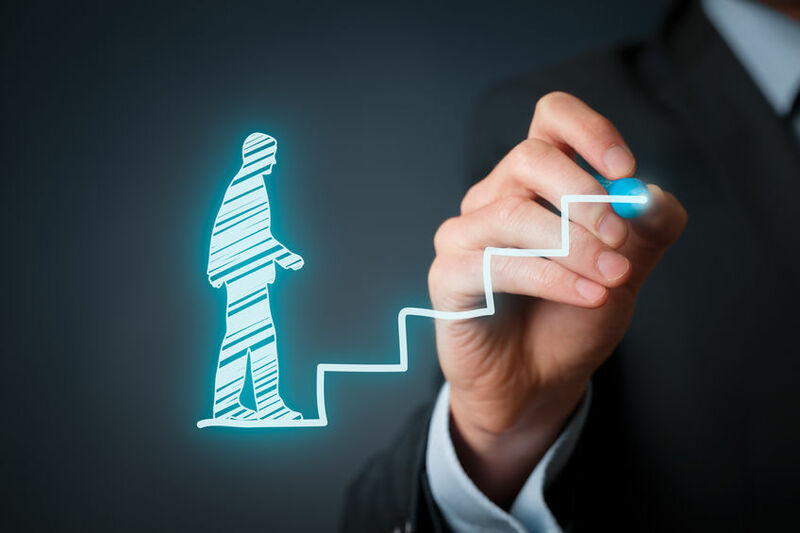 Let's take a look at the top five steps to sales management mastery from which to choose at least one new skill on which you can work to help you become even better at what you do, on your own journey to mastery. If you didn't know about the invention of the wheel, given enough time, you would probably figure it out and learn how to move things around more easily. Pushing large rectangular stones is simply too exhausting. Round ones are easier. You would eventually invent the wheel, vbut it might take a long time and a lot of wasted energy. However, if you started with a wheel early in your career, how far ahead of the pack would you be today? People who try to figure out sales management by trial and error, if given enough time (decades? ), will eventually figure it out. But why bother? It's known. Find someone who is already there and do what they're doing. You'll be way ahead by the time your know-it-all peers are just getting started. Find a managerial role in which you will be able to operate at one level of thinking above your team members. You should know their job well and understand their strengths and weaknesses so that you are able to challenge them just enough to stretch them without breaking them. If, on the other hand, you are operating from a similar level of thinking, it's easy to fall into the twin traps of either micro-managing and doing it for them. Neither works well. They won't learn, you'll be overloaded, and it will be hard to meet your goals, let alone leverage your time. Make sure the role is right for you. Motivating your people starts with knowing what already motivates them. Use language consistent with their goals and motivating triggers. Do they love to win or hate to lose? Do they like recognition or are they more self-satisfied? Do they like close management or do they prefer to manage themselves? Do they like extrinsic rewards like money and recognition, or intrinsic rewards like a sense of satisfaction and enjoyment? The language you use will reinforce one or the other of these choices. If they love to win, you might tell them, "You have a real chance of winning this deal, or winning this contest. You're doing the right things to move ahead of the pack." If they hate to lose, you might tell them, "You're ahead now but there are two people close behind. One of them is almost in a position to take the lead from you." Or you might ask, "You aren't going to let that guy beat you, are you?" Coaching is not mentoring. Coaching is not a pipeline review. Coaching is not just about answering questions when team members ask them. It's not the blocking and tackling part of the job. Coaching is not even training; it's not theory. Coaching is an opportunity specific deconstruction of a sales call (either before or after it happens) for the express purpose of improving effectiveness. Coaching is about practicing selling skills in the safety and comfort of an internal meeting. It's about following process, trying out language, and practicing how it should sound. It's about role playing. It's about conditioning the mind to respond unconsciously in selling conversations. I know not everyone is comfortable with role playing but it is the single most important tool in a coaches toolbox. Managers who coach their team members on a set and consistent schedule create a culture of constant improvement that simply cannot lose. "Forbes recently published data from a number of sources. For example, A Harvard Business Review study revealed that 58% of people say they trust strangers more than their own boss. 79% of people who quit their jobs cite "lack of appreciation" as the primary reason. The Conference Board reported that 53% of Americans are currently unhappy at work." From these statistics, it sounds like most managers are missing the chance to channel energy in the right direction. Teams with a poor environment lose. They don't meet their numbers. They make excuses and point fingers. In the worst situations, performers leave and non-performers are stuck. Look at your team, person by person, and make a list of any areas in which the relationship is not supporting a positive and healthy environment. Seriously, make a list. You can do it on one sheet of paper and it will take a half hour. Address each deficient area with each person one by one until there are none left. I promise you will hit your numbers. If you decide to make only one improvement, I suggest working on number 5. It will change your life. But choose any of the above that feels right to you. Or if you're feeling unstoppable, improve all five and welcome to sales management mastery.